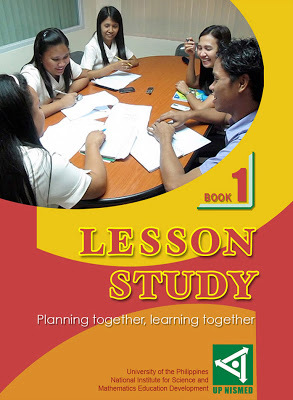 Two years ago, our institute, the University of the Philippines National Institute for Science and Mathematics Education Development (UP NISMED) published Lesson Study Book 1 which details our involvement in Lesson Study in the Philippines. Last year, when I was in Japan, we also published the sequel of this book titled “Lesson Study Book 2: Learning More Together, Growing in Practice.” The chapters in this book document the actual study experiences of teachers and students that highlight teaching and learning of science and mathematics through inquiry based problem-solving approaches from elementary and high school levels. It also discusses some research results.